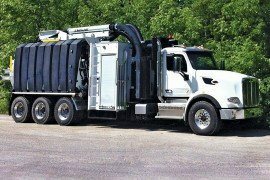 A utility contractor’s equipment fleet typically includes multiple machines to get everyday projects done. 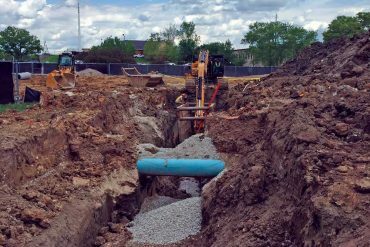 However, jobsites don’t always offer the conditions needed for larger equipment to barrel through or even the space for more than one machine. A utility contractor’s equipment fleet typically includes multiple machines to get everyday projects done. However, jobsites don’t always offer the conditions needed for larger equipment to barrel through or even the space for more than one machine. 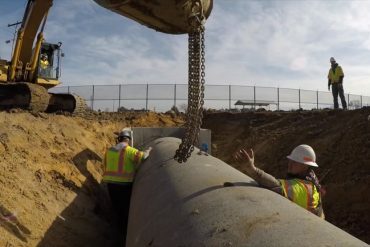 What’s a contractor to do when a jobsite is too tight for his behemoth of an excavator or his budget only allows one machine, rather than two? Enter the backhoe loader. The perfect blend of an excavator and wheel loader, with one price tag, one maintenance schedule and one big punch of productivity. The backhoe loader isn’t a new machine, but one that may be overlooked when compared to larger equipment. 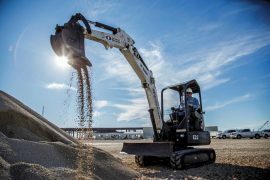 However, manufacturers such as John Deere, Case, Terex and JCB are well aware of the promise these machines have and are constantly working to construct the very best backhoe loader — with standard and optional features — for a customer’s buck. So how popular are these machines? According to manufacturers, the backhoe loader market fluctuated over the past few years. However, the segment experienced growth in 2014, and 2015 numbers show promise, as well. Just like any machine, there are plenty of backhoe loader models to choose from so it’s important to know what to look for and what options are out there. 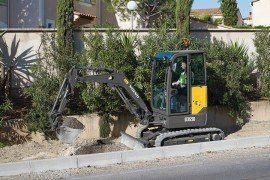 The biggest consideration when selecting a backhoe is its dig depth. Backhoes are typically categorized by their standard dig depth, with 14 ft being the most popular. Speaking of boom configurations, it’s important to research what manufacturers offer. Each company is unique in its product lines, so contractors must determine what will best fit their needs. 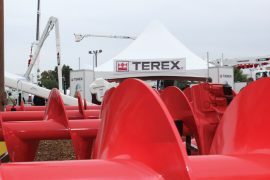 For example, Terex offers a curved boom design that the company says offers great clearance and the ability to load trucks closer. JCB touts its side-shifting boom which allows operators to work in tight spaces. There are also optional features like an extendahoe which Pullen from Case mentioned. 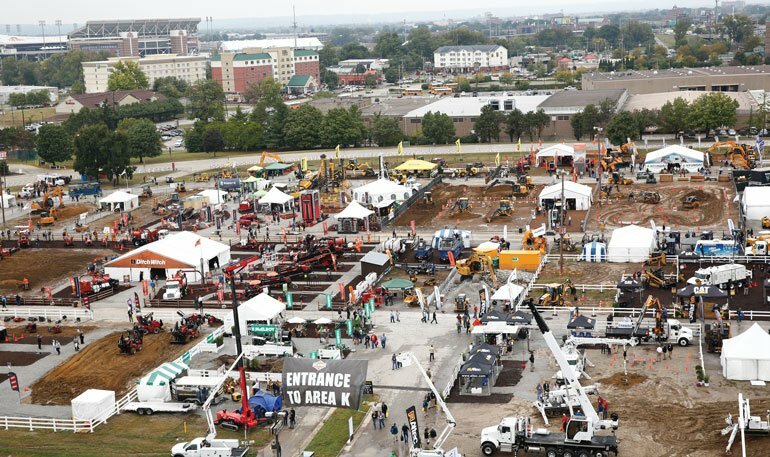 Aside from dig depths and booms, other features customers must consider include horsepower, bucket breakout force, lifting capacities and transmission systems that are available among different brands. Fuel savings is always a hot topic and manufacturers surely take notice. Economy mode — or “eco mode,” for short — is becoming more and more popular with customers. This feature allows operators to perform their duties with less fuel and a minimal loss in productivity. Taking time to look at a backhoe loader’s cab and controls is a great investment in an operator’s comfort and productivity. Manufacturers are always working to make tasks easier for the crews that spend eight-plus hours in the machines every day. 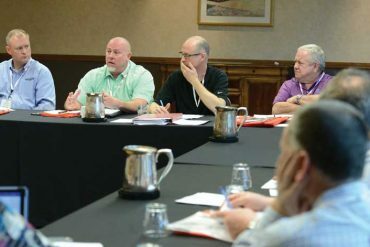 Hennings points out that standard controls can vary among different brands and models, so it’s important to find the right (and comfortable) fit for an operator. For example, John Deere’s new L-Series now offers a palm-on-top loader control that can incorporate clutch disconnect, momentary mechanical four-wheel-drive, transmission quick shift and auxiliary proportional roller that the company says enhances both comfort and efficiency. Other creature comforts include larger, easier-to-read monitors, better clearance when shifting from backhoe to loader controls, as well as heat, air conditioning and cozy seats. Like with any machine, serviceability is an important consideration. Less maintenance and easy-to-access service points mean the backhoe loader will be out on the jobsite and not sitting idle. With many manufacturers making the push to be Tier 4-Final compliant, potential buyers should also look into how that has been achieved and how it affects the day-to-day operation of the machine. For example, some systems may require time to regenerate throughout the day — causing downtime. There may be maintenance items to address as well, such as refilling diesel exhaust fluid (DEF) when needed. 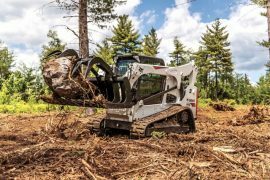 While buckets seem like the most popular and obvious attachment choice for backhoe loaders, manufacturers are quick to emphasize the versatility available through other attachments. Bidirectional hydraulics to the backhoe provide the most flexibility to run all attachments because hydraulic power flows two ways. This is ideal for use with attachments such as thumbs, augers and swivel buckets. Unidirectional auxiliary hydraulics are satisfactory if a contractor only plans on running attachments with one-way hydraulic flow requirements, such as breakers and compactors. 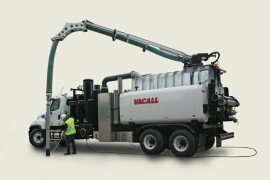 If possible, find a machine that has combo hydraulics, which includes both unidirectional and bidirectional hydraulics for the most versatility and the least chance to damage unidirectional attachments. Auxiliary hydraulics to the loader end of the machine expand the machine’s capabilities to run attachments such as brooms, grapples and 4-in-1 buckets. 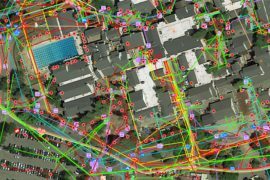 Telematics is another feature that may be standard or optional, depending on the manufacturer. For example, companies such as John Deere, Case and JCB offer programs on their machines that provide a wealth of information for their users. 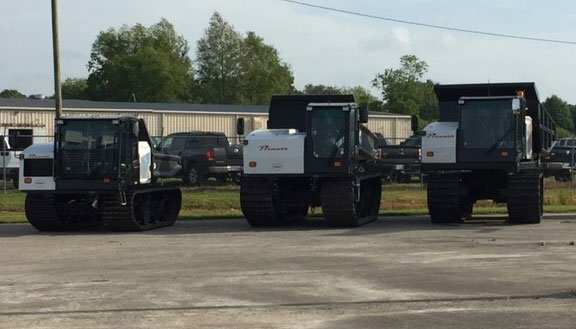 “Standard telematics not only gives it to contractors at no added cost, but it puts a whole new business tool in their hands that can easily give them insight into their business and do everything from reducing idling time and fuel costs to identifying new ways to improve productivity and better utilize your machine,” says Pullen. Backhoe loaders offer two productive machines in one package (and with one price tag!). Thanks to the many standard features and options manufacturers offer, it’s easy to find a backhoe loader that’s suited for the work utility contractors plan to tackle every day. Pam Kleineke is the Managing Editor of Utility Contractor.